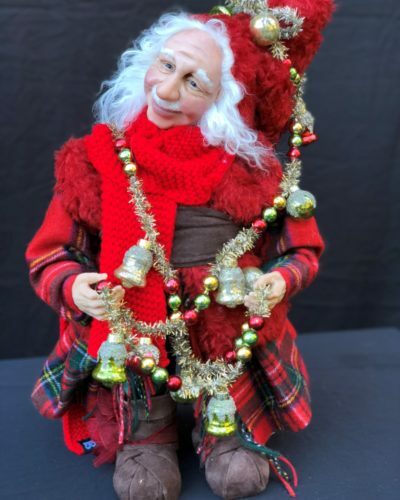 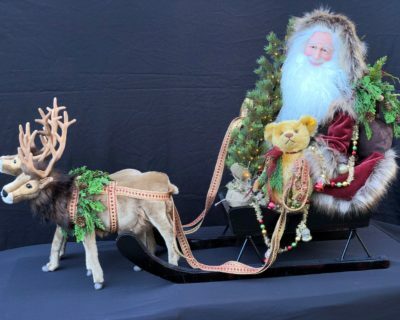 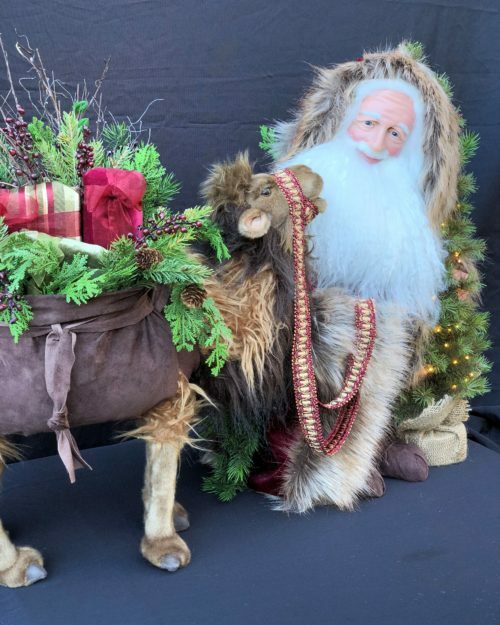 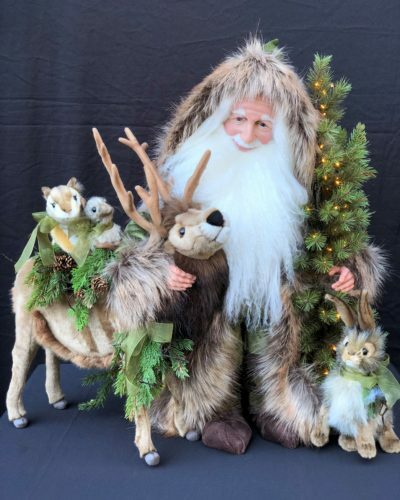 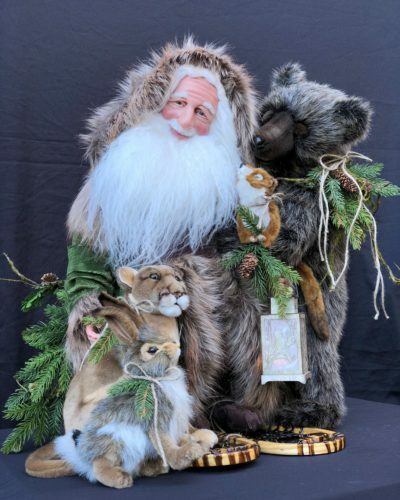 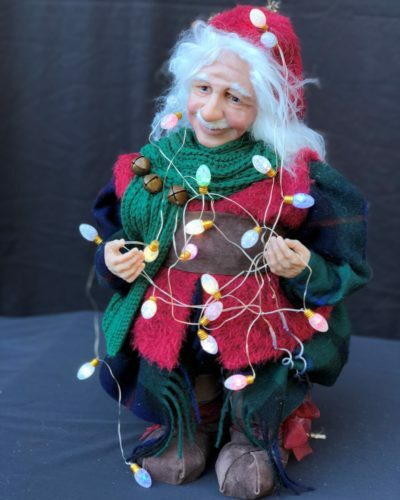 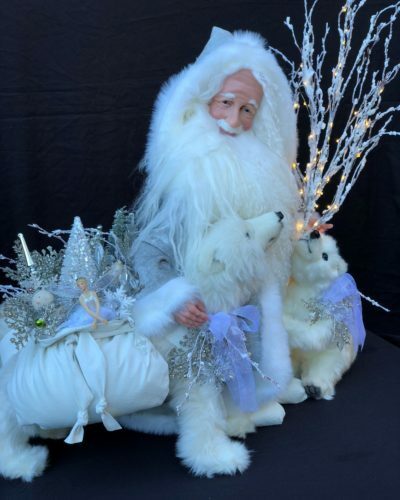 Stone Soup Santas creates beautifully handcrafted Santa figures, with joyful, lifelike faces. 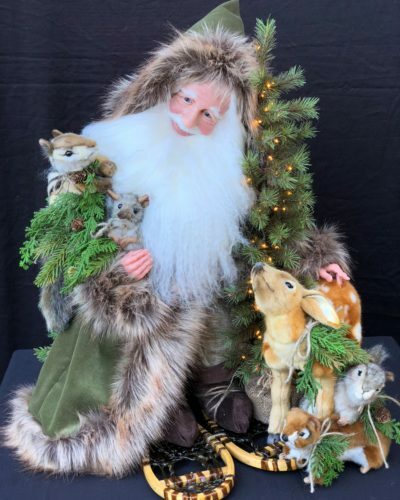 Each Santa is individually designed in “Santa’s workshop” located in our home on Christmas Tree Hill in Northern California. 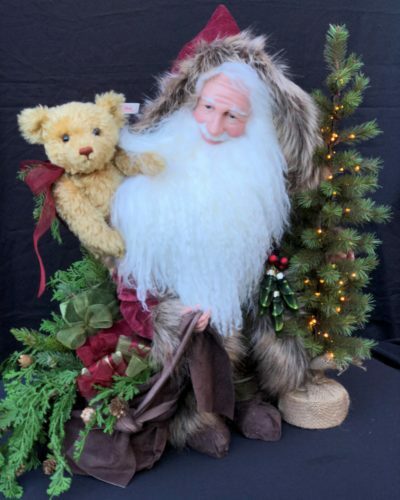 Every Santa is signed and dated under his beard by artist, Shelie McCall. 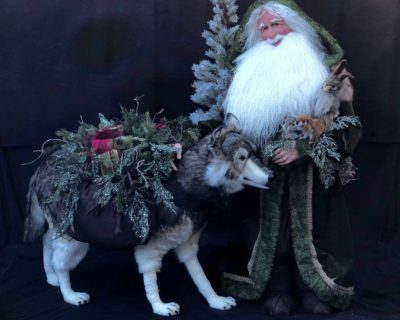 Collected by Santa lovers all over the world. 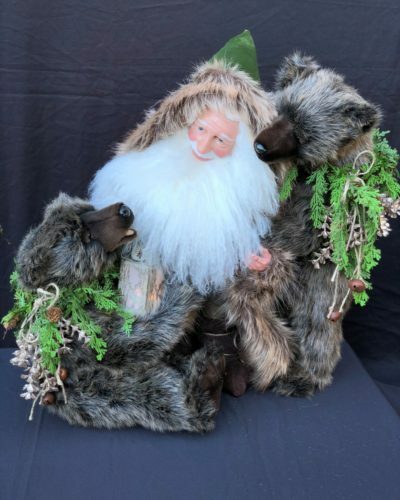 What makes our Santas truly special is that each one is a work of art. 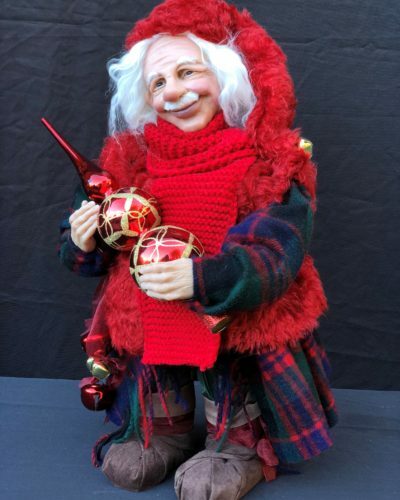 Every Santa features a gentle, laughing face sculpted with polymer clay and finished with a soft Tibetan wool beard. 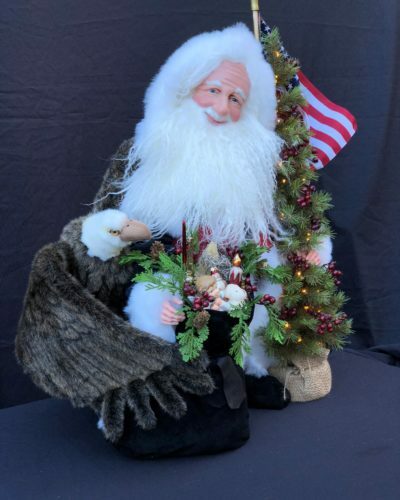 We create many different styles of Santas, so that you can blend these wonderful gentlemen with your holiday theme. 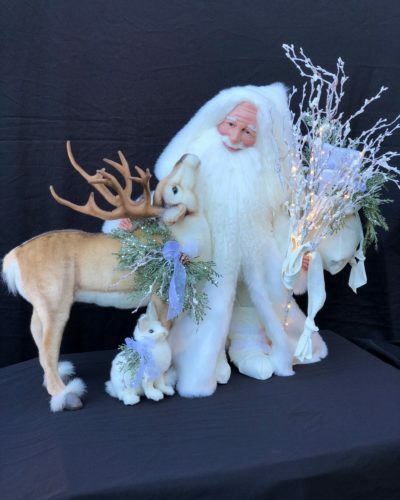 Our styles include: Classic, Traditional, Arctic, Woodland and many more. 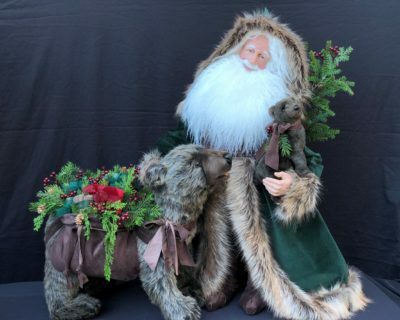 Every Santa is set within beautifully detailed surroundings, and may include all kinds of wonderful objects, from a handmade polar bear, to fabric-wrapped gifts. 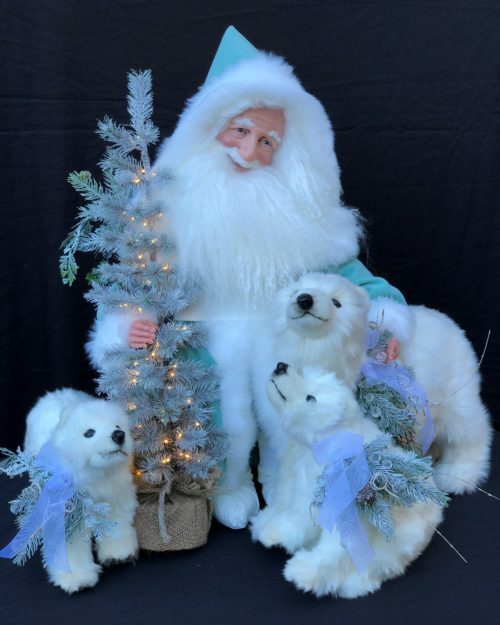 Our Santa figures come in three sizes, from 26” to 52” tall. 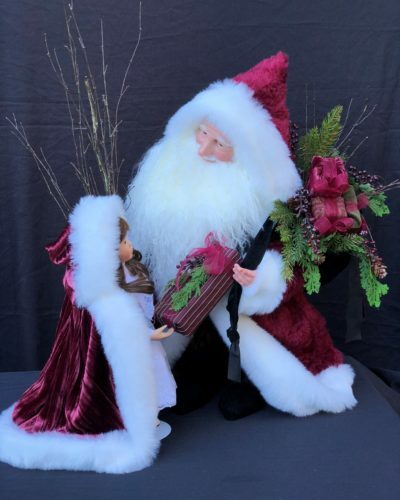 We can also create a custom sized Santa, just for you. 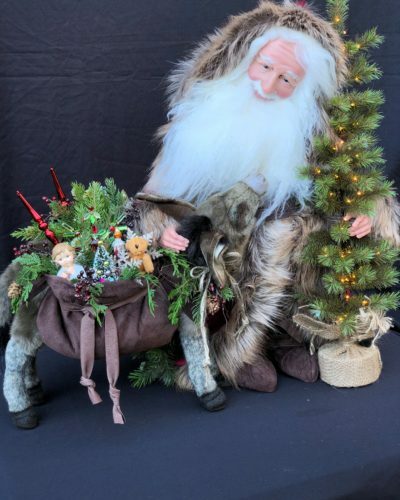 Every Santa is made from steel and wood and stands on his own two feet, so that he looks beautiful from every direction. 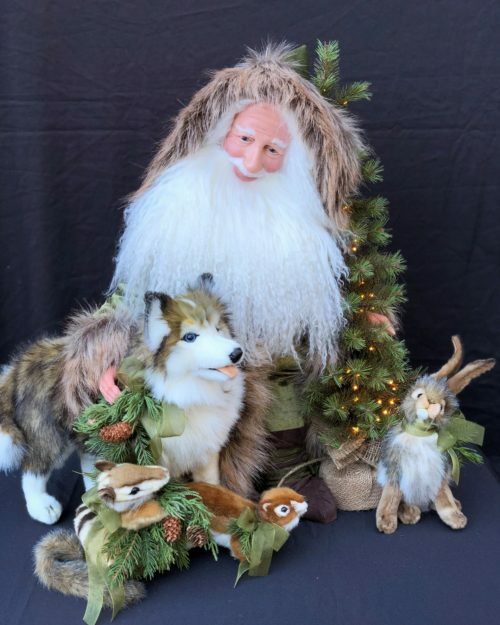 The 2019 Collection is now Online! Learn more about our Santas by contacting us.